Holding hand-drawn signs that read “Thank you Mayor Emanuel!,” dozens of Belmont-Cragin Elementary School students descended on Riis Park on March 21 to mark the beginning of construction on the school’s long-awaited new building, Block Club Chicago reports. 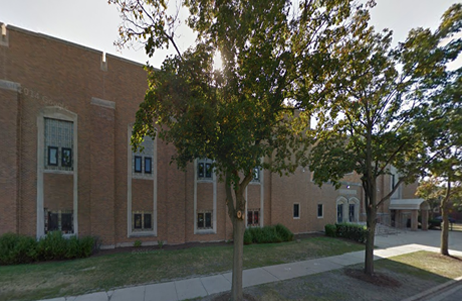 The school community has long argued that a new building is necessary, observing that the existing structure 5252 W. Palmer St. is overcrowded and falling apart and can’t meet the the neighbourhood’s future demands. Belmont Cragin is home to the fastest growing Latino population in the state, according to nonprofit Northwest Side Housing Center, one of the organizations that helped lead the charge on the project alongside Local Initiatives Support Corporation (LISC). The school’s new, three-story building is being built on parkland at 6100 W. Fullerton Ave. Chicago Public Schools (CPS) officials say it will have room for about 700 students. The building — expected to cost $44 million in CPS capital funds — will house a number of classrooms, as well as science labs, a computer lab, an art room, a library and a gymnasium with a stage. An adjoining community center will offer social and emotional learning workshops, dual-language instruction and supportive services for immigrant families, according to the Northwest Side Housing Center. CPS officials did not provide any further information about when construction would start, or the project’s duration.